We had a wonderful turn out last night for our “Painting Party Fundraiser” for the library. Our painting instructor, Jolene Haller, with Gallery On The Go did a fantastic job with our group and we look forward to working with her again in the future. 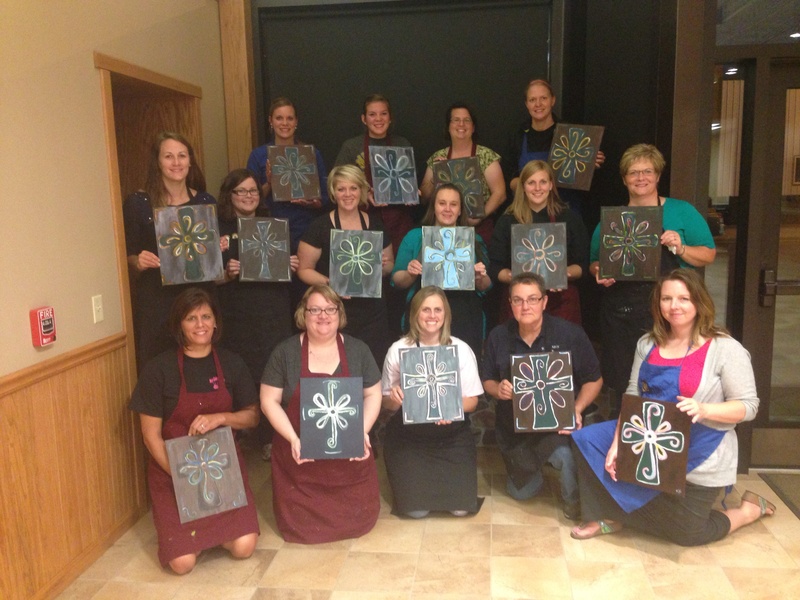 Thanks to everyone who joined us for a night of painting fun and to support the library!! By hankinsonlibrary in Uncategorized on August 27, 2014 .